On Saturday during the Raider Relays at Hillsborough HS Paul Brennan showed he is well ahead of schedule compared to his previous seasons in the discus. 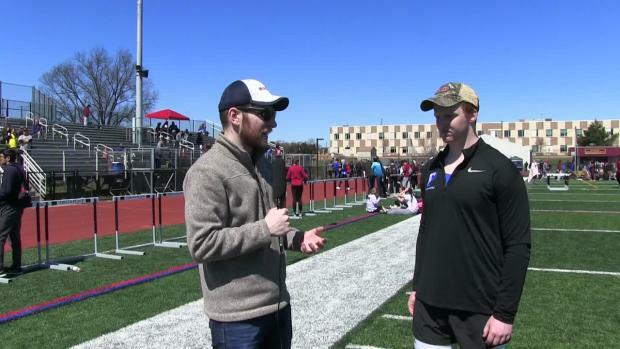 Full ResultsOn Saturday during the Raider Relays at Hillsborough HS Paul Brennan showed he is well ahead of schedule compared to his previous seasons in the discus. The Princeton junior threw a state leading 169-10 and his PR from last season at Sectionals is 173-05. Before this his best season opening throw was a 140-02 from his freshman year at this same meet.